Suniva, a U.S. based but majority Chinese owned company, which filed for Chapter 11 bankruptcy earlier this year, has submitted a petition to the U.S. International Trade Commission to impose a tariff and floor price on imported crystalline silicon photovoltaic solar panels. Fellow manufacturer SolarWorld Americas later joined the petition; the German-parent based company also filed for insolvency earlier this year. Both companies proposed a tariff of $0.40/watt and a floor price of $0.78/watt. The proposed tariff was filed under Section 201 of the Trade Act of 1974, a safeguard measure for U.S. companies under threat from global competitors. The clause is applied if an American industry can prove “serious” injury to its business from global competitors. A group of 16 Senators and 53 representatives sent open letters last week to the ITC prior to scheduled hearings on Tuesday, urging commissioners to reject the tariff. 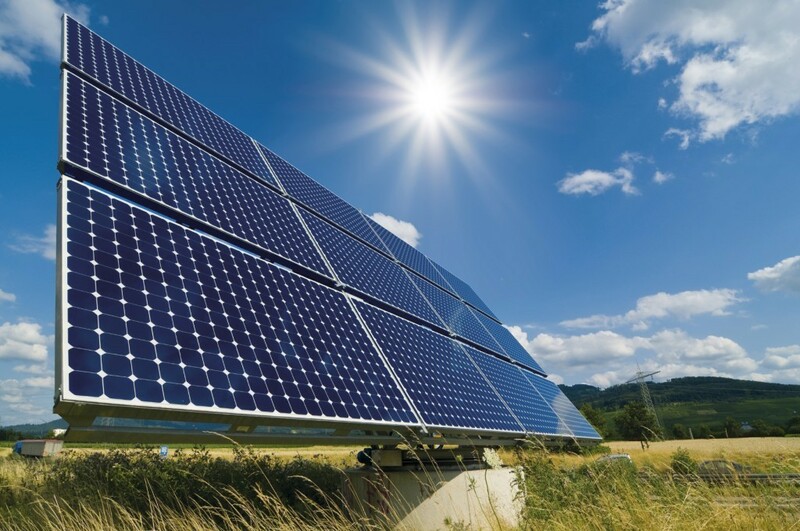 Hearings at the ITC in D.C. on Tuesday brought seven lawmakers and state officials, as well as over forty solar stakeholders and industry experts to testify on both sides. Suniva and SolarWorld have filed the claim, alleging that rising imports of PV panels took market share away from American producers, and consequently led to bankruptcies, layoffs, and ultimately damaged the U.S. industry. While foreign-made solar panels have indeed flooded the market in recent years and hurt several domestic manufacturers, including Suniva, lower prices have contributed to the boom in solar installations. Opponents argue that poor business decisions, faulty equipment and failure to meet contractual agreements contributed to the manufacturers’ collapse, not foreign competitors. The case, which the Commission itself labeled “extraordinarily complicated,” has given rise to a number of unusual alliances across political parties and industries. Most notably, the Solar Energy Industries Association (SEIA), the national trade association for the solar industry, has teamed up with conservative think tank the Heritage Foundation and the American Legislative Exchange Council (ALEC), both long-time solar industry adversaries, to oppose the petition. SEIA argued that more than 88,000 jobs in the solar industry could be lost if the tariffs are implemented, eliminating about one-third of the current American solar workforce. Additionally, GreenTech Media Research found that the tariff would impose "unprecedented demand destruction" and endanger 47 GW of planned installations, about two-thirds of capacity scheduled to come online in 2017. It’s difficult to say which way the ITC will be swayed after an intense 10-hour hearing, with both sides presenting substantial evidence to support their claims. The investigation is currently in the injury phase; if the ITC finds merit in Suniva’s petition, they will proceed to the remedy phase. If the ITC proceeds to the remedy phase, the Commission will draft a remedy and send it to President Trump for approval, modification, or rejection. The Commission is expected to make a decision on the matter by September 22.